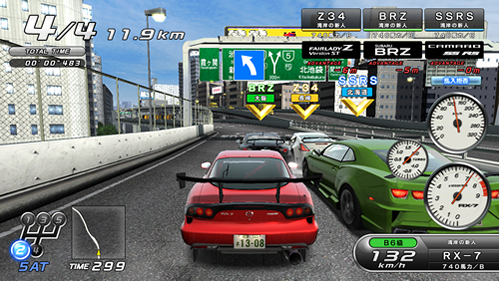 It’s been a week since Bandai Namco first teased the next installment of Wangan Midnight Maximum Tune for arcades and with the day arriving, we have a few details to chew on. First, here’s the teaser site where the update dropped, with a couple of screenshots that I’ve embedded into this post and some details in Japanese. 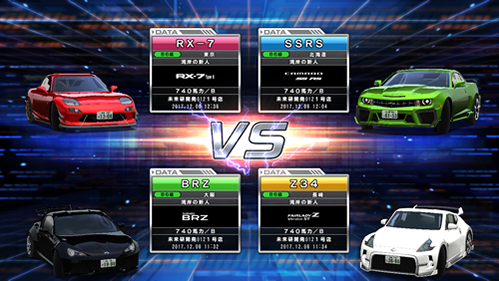 For the cars unveiled at this point (thanks to this screenshot), they continue to license both foreign & domestic vehicles, including: Chevrolet SSR; Mazda RX-7; Nissan Fairlady Z Z34 & then Subaru BRZ. No info yet that I am seeing on whether or not data cards from 5 will be transferable but I imagine that will be the case in Japan. We do not know for sure when this will be making it’s way over to the States (and possible Europe this time) but when I have discussed the game with Bandai Namco representatives, they seem very pleased with how Maximum Tune 5 did for it’s Western release. I did reach out to Bandai Namco for comment but there isn’t anything to add beyond this release – for now. What are your hopes and expectations for the 6th installment of the series? So far, this looks like a reskin of 5DX+ for Asian and Japanese arcades. When 6 comes out in the US, US players will experience things that were added in 5DX or later aside from cars and OST like the Stamp revenge, Maxi coins, International Ghost Battles, and 2v2 battles. Looks like a realistic simulation, but I’m the fun racer type.